It’s been a challenging and fulfilling privilege to be the editor of Streetsblog San Francisco these past few months, but to my mind, our work has only just begun. San Francisco’s livable streets movement has more momentum than ever, and we’re counting on readers like you to help us continue to bring high-impact coverage that informs people and influences policy decisions. 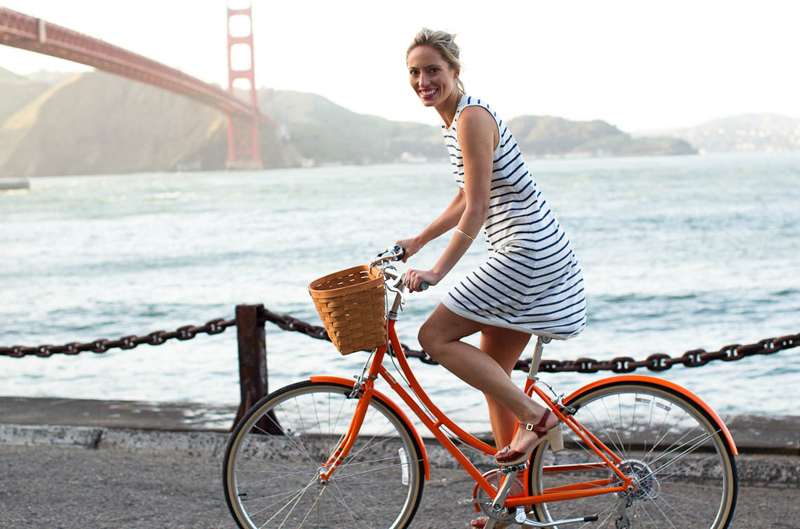 Donate $50 or more by June 1 and you’ll qualify to win a beautiful PUBLIC V7 or PUBLIC C7 bike! Donate by Monday, April 30 at midnight, and you’ll qualify twice. Early birds get an advantage! Anyone who gives by April 30 will also be eligible to win a one-year subscription to Yes! magazine, which happens to be Pete Seeger’s favorite publication. Shining a spotlight on the most prevalent dangers facing people walking and bicycling on our streets. Streetsblog provides perspective on dangerous driving behaviors that too often slip through the cracks of our legal system and get overlooked by the media. In February, we helped pedestrian advocates bring justice to an elderly man who was run over in a crosswalk by a driver who was initially let off without a penalty. With the attention Streetsblog helped bring to the case, an outcry for justice led the SFPD to issue a citation to the driver, showing that tolerating the brazen endangerment of people walking on San Francisco streets is unacceptable. Tracking the SFMTA’s rollout of protected bike lanes. San Francisco has the opportunity to implement a major expansion of safer bike lanes and traffic-calmed streets to invite more people to join the city’s growing bicycling boom. Streetsblog continues to bring readers the latest on innovative bicycle improvements, like the new parking-protected JFK bikeway, while holding city officials accountable to their commitments to delivering much-needed projects like the crucial bikeways on Fell and Oak Streets. Shedding light on the need for progressive car parking policies. When the discourse in the media frames putting a rational price on parking as nothing more than a money grab, Streetsblog has stepped up to help inform readers and policymakers of the benefits of reforming outdated policies like free parking on Sundays, which the SFMTA Board of Directors voted to end this week. And when San Franciscans make better use of the street space our city devotes to parking, we’re there to spotlight it. Keeping the public up to speed on the changes we need to make for a more reliable Muni. From breaking the news on Muni’s switch to all-door boarding and transit-priority signals, to keeping tabs on the SFMTA’s developing plans for more transit-friendly streets under its Transit Effectiveness Project, to laying out the options for San Francisco’s first Bus Rapid Transit route on Van Ness Avenue, no other media source provides in-depth coverage of transit improvements and street transformations like Streetsblog. Streetsblog SF continues to reach more and more readers, with more followers on Twitter today than any other original news source in the Bay Area. We’re grateful to our readers who stepped up in a big way to keep us going last year, and to PUBLIC Bikes, who has been a steadfast partner through its second successful year. Only with continued support from our readers can we provide high-impact local coverage connecting more and more people to the movement for sustainable transportation and livable streets. 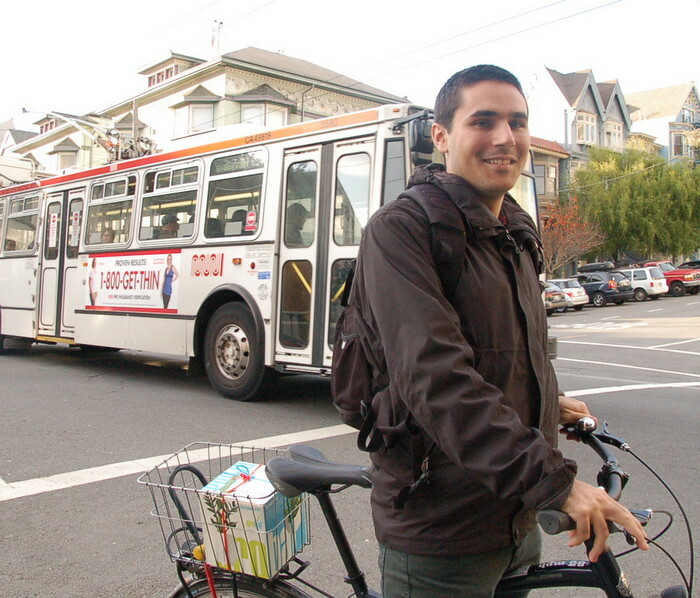 Hey Aaron, thanks for your amazing coverage of the transportation scene in SF. I donated a couple days ago, wondering if those of us who did so before you announced the win-a-bike contest are also eligible for it? Yes, we’ll count any donation since we launched our campaign on Tuesday the 17th.